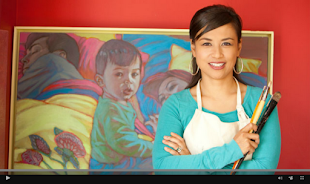 Inside the Studio of Rose Datoc Dall: Three Big Events in August 2014! Come see me at "Lunch & Learn" at the Flagship Deseret Book in downtown SLC (across from Temple Square) on Fri, Aug 15, 2014 from 11:30AM - 1:30PM for an artist print signing! 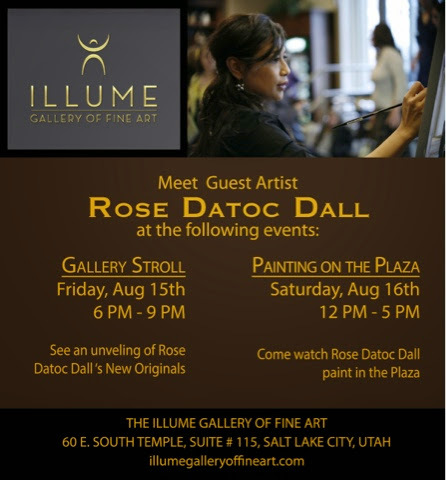 Then come later that evening for a "Gallery Stroll" at Illume Gallery in downtown SLC (across from the JS Memorial Bldg) the evening of Aug 15th, from 6pm - 9pm where I will be the featured artist and you can see my latest originals; and then "Painting on the Plaza" at Illume Gallery on Sat Aug 16th at Illume Gallery where you can watch me paint from a live model in front of the gallery on the plaza! 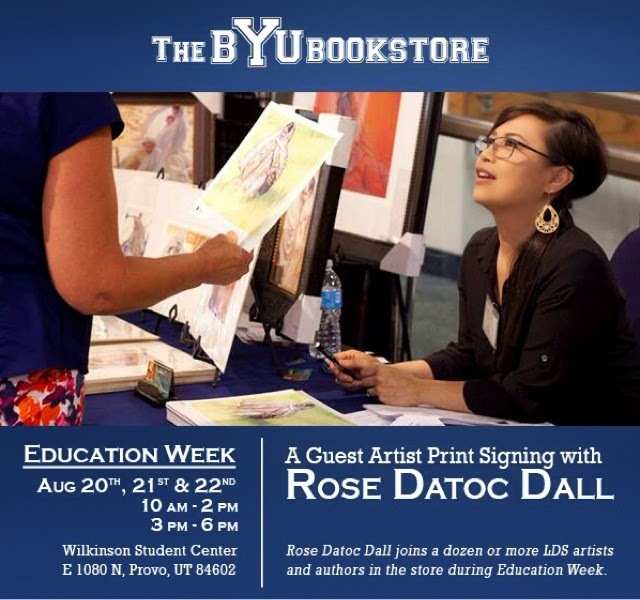 Then during the following week during "BYU Education Week," I'll be at the BYU Bookstore on Wed Aug 20th - Fri 22th, where I will join other LDS artists for print signings!